7.25" x 7.25" x 46"
Natural. Refreshing. The Patina Breeze collection captures the sentiment of outdoor wonder with it's subtly textured canopy and leaf shaped sale, both crafted to resemble a rustic copper patina finish. This collection is perfectly tuned to a delightful major hexatonic scale. 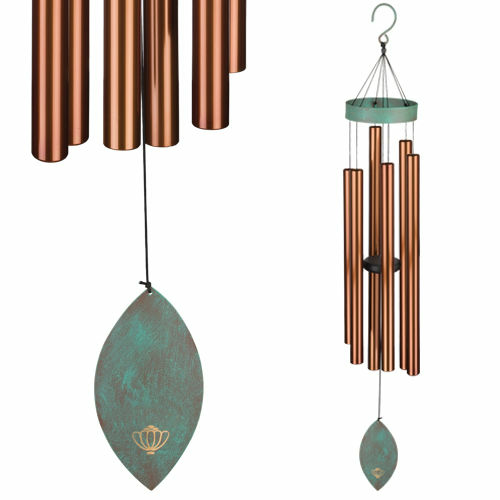 The Patina Breeze collection will blend gracefully with any outdoor decor.